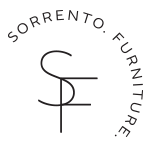 All of our products come with fabric protection as a standard part of our commitment to long lasting furniture. We’re proud of our workmanship and want you to enjoy your furniture for years to come. So if there are any repairs needed, we’ll be only too happy to assist. DERLEY PL PROVIDES THIS WARRANTY TO THE ORIGINAL PURCHASER FROM THE DATE OF INVOICE. The warranties outlined below are additional to those stated under Australian Consumer Law. In no way does the warranty restrict, negate, modify or limit any rights of the consumer under the laws where the purchase was made. Structural frame elements are warranted against breakage for a period of (10) years. Seat and back inserts including foam inserts, feather and fibre inserts and Dacron fill inserts are warranted for a period of (5) years. Loss of foam resiliency should not be confused with softening of foam or stretched covers, which may result from normal use. Owners of upholstered furniture should also expect foam and fibre fillings to compact over time. Leather, Fabric and vinyl warranties are covered by the suppliers warranty. Warranties generally do not cover tears, flattening of nap, pilling, fading or shrinkage and is not valid when heavy soiling or abuse is evident. The warranty does not cover normal fading, damage due to improper use, damage from lack of required caution and/or regular care and maintenance. The warranty does not include claims for veins, wrinkling or natural markings from healed scars or tick marks or variations in grain or colour. These natural features are proof that only genuine leather has been used. The warranty does not include stretching of leather or fabric. This is normal and results from normal use. Exposure of leather and fabric to direct sunlight or extreme light sources will cause fading and damage and is not covered by the warranty.